The huge, bipartisan pro-reform vote was 26 in favor and only 7 opposed. Eight Republicans joined all eighteen Democrats to pass this sweeping reform measure. This electioneering disclosure and regulation legislation mirrors rules approved by the state Government Accountability Board in November 2008. An identical Assembly version of the legislation, Assembly Bill 63 was passed in the Assembly Committee on Campaign Reform and Elections in June of 2009 on a bipartisan 6 to 1 vote. The Assembly would have considered and passed the measure soon after the Senate action -- and Governor Jim Doyle, who has repeatedly said he supported this measure, would have signed it into law. Common Cause in Wisconsin (CC/WI) was the first state reform organization to recognize the critical importance of this reform and we first proposed a version of this measure back in 1997 -- and have been a leader in the effort to get it enacted into law ever since. But then, on January 21st, a hugely destructive volcano erupted in the nation when the United States Supreme Court issued one of the worst decisions in American legal history -- in a critical, landmark case: Citizens United v. Federal Election Commission. In this bitterly divided 5 to 4 decision, the hypocritically activist Conservative majority needlessly and recklessly opened the floodgates to allow corporations and unions to spend vast sums of general treasury money to buy federal and state elections. In one misguided stroke, a one-vote majority reversed more than 100 years of settled law under which federal and state governments could prohibit corporations and unions from spending their general treasury funds to directly influence federal and state elections -- in order to deter corruption and the appearance of corruption by corporations and unions. Chief Justice John Roberts and the disingenuous conservatives on the court equated corporations with real, individual people and in doing so they have given these new “corporate persons” the ability to influence and even control the outcome of elections through unlimited, unregulated campaign spending. CC/WI has been working with reform leaders in both the State Senate and the Assembly to adjust Senate Bill 43 and Assembly Bill 63 to bring it into compliance with the horrendous U.S. Supreme Court decision - Citizens United. They have told us that there is essential agreement between the State Senate and Assembly on the language and that the expectation is that this revised and enhanced disclosure legislation will be considered (and presumably passed) by both legislative chambers during the last floor session of the Wisconsin Legislature for the 2009-2010 session -- which runs from April 13-22. 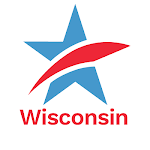 Last week, as expected, the Wisconsin Government Accountability Board (GAB) unanimously approved a new administrative rules to force interest groups to disclose election-related activity. This is a reform CC/WI first proposed to the then-State Elections Board in 1997 and has worked for years to achieve. It is an important step toward repairing the damage done by the U.S. Supreme Court decision in Citizens United. GAB approved the rule in November, 2008 and submitted it to the Legislature for approval before asking legislators to return it to GAB pending the outcome of the Citizens United case. GAB has now rewritten the rule to reflect the Supreme Court decision (by voting to no longer enforce the 1905 ban on corporate spending). The Legislature will have 30 days to act on the new rule and if no action is taken it will take effect. But for a number of other reasons, the Wisconsin Legislature needs to consider and pass revised Senate Bill 43/Assembly Bill 63 as well. Enactment into law of this major campaign finance reform measure would close the single largest loophole in Wisconsin's loophole-ridden campaign finance laws. And it is absolutely necessary to counter the numerous cancerous and anonymous campaign communications that have undermined legislative, gubernatorial and other statewide elections and, more recently and alarmingly, Wisconsin State Supreme Court elections. State legislators need to hear from the citizens of Wisconsin about this issue. Please contact both your State Senator and your State Representative and tell them to demand that the revised campaign disclosure legislation (SB 43 and AB 63) be considered and passed in April so that it will be in effect for the upcoming 2010 elections. Your voice is crucial. Thanks for being active in pursuing reform! Disclosure Legislation in Wisconsin Needed In the Wake of the Misguided U.S. Supreme Court DecisionTweet this!